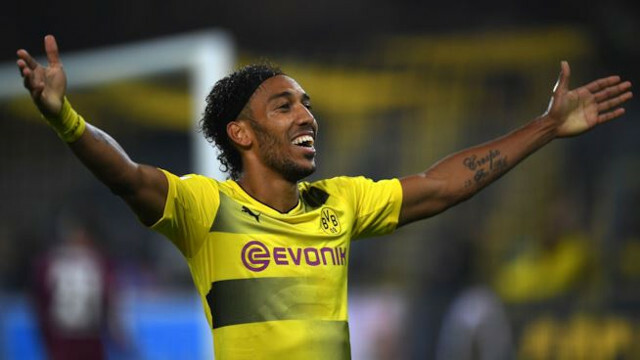 James Pearce of the Echo has penned an interesting piece that suggests Jurgen Klopp never considered going for Henrikh Mkhitaryn or Pierre-Emerick Aubameyang this January because it’s simply not his style to go for players he’s worked with before. This is slightly odd to us as he’s tried for Mario Gotze and Christian Pulisic of Borussia Dortmund, and bought many Mainz players to the Signal Iduna Park previously! Pearce claims Mkhitaryan especially wasn’t on the radar with Manchester United not likely to sell to Liverpool – and that Auba no longer appeals to the German – who has very close ties to his former club, who have suspended the Gabonese for various disciplinary misdemeanours. While the prospective transfer fees and wages was an issue, the primary reason Klopp hasn’t shown interest is simply because he’s not keen on them. “I had that player,” Klopp said in July 2016, cited in the Echo. “If you have had players, you know more about them. You want to learn about other players. That’s how it is. “I knew quite early that he was going this way (to Old Trafford). There was absolutely no reason for me to jump in there. That isn’t how we work. “We didn’t look for players we had already worked with. If you do that, you know their good, their bad and you wonder whether you will do it again. “It’s not boring… but you know everything about each other so how can you develop? Where is the next step? Where is the next push for development? It was expected that Liverpool would make moves in the transfer market after selling Coutinho to Barcelona for £142m, but nothing has materialised. We shouldn’t forget the £75m we splashed on Virgil van Dijk, but the Brazilian has definitely left a creative hole in our midfield. Thomas Lemar has long been mooted as a potential replacement, but we’d be surprised if Liverpool spent the enormous sum it would require to bring the Frenchman to Anfield before February.